Buying land can be a great long-term investment or wholesale opportunity if you understand the ins and outs of the process. Understand the pros and cons of buying vacant land, and the right questions to ask before a purchase. Use our pro tips for how to buy undeveloped land if you’re interested in making vacant land investments. As a real estate investor, you may have already been presented with an opportunity to buy vacant land. If for nothing else, vacant land investments are just as viable as any other exit strategy, if not more so. Vacant land can be a sound investment, as long as you go into it with clear expectations, a full understanding of everything that buying vacant land entails, and a plan for using the land. Vacant land is any land that doesn’t currently have a structure in place. Vacant land may have also been built on in the past, only to have seen the structure torn down. In either case, the process of buying vacant lots entails a completely different set of considerations than your typical home buying process. Decide your reasons for buying vacant land: Buying vacant land should not be an impulse decision. Before you buy a piece of land, you need to determine what your purpose for that land is: Are you going to build on the land? Will the building be residential or commercial? Are you planning to subdivide the land and resell it? Wholesale it? The answer to these questions will determine the trajectory of your search. Come up with a budget: The financial considerations that go into purchasing vacant land are much different than those associated with purchasing a home or commercial property. On the one hand, land by itself is cheaper. On the other hand, however, without a structure as collateral, many banks will require a large down payment and may only be willing to loan on 40 – 50% of the land’s value, if they are even willing to provide financing at all. Make your offer: Bargaining with the seller can significantly reduce the price you pay, and significantly reduce what is likely to be a large down payment. You also want to include an option on the land in your ofer so that you have the opportunity to complete your due diligence before completing the purchase. Mind your due diligence: Due diligence on undeveloped land includes additional steps and expenses. You’ll want to hire a surveyor, check the plat (a map drawn to scale of the property), check on existing liens, check zoning and restrictions put in place at the building office and zoning office, and have environmental testing done. You can often have the seller help with these costs. 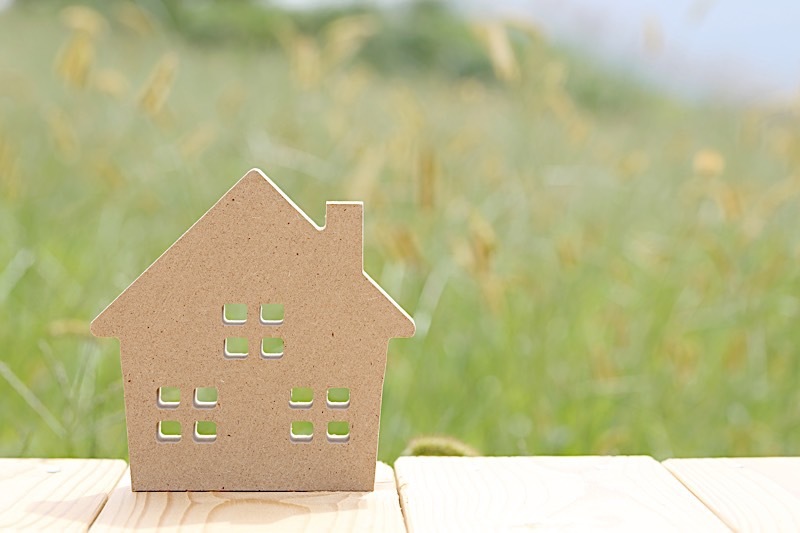 There are conflicting opinions about whether buying vacant land is a good investment; however, as is the case with any opportunity in the real estate industry, there are pros and cons to consider. These pros and cons will affect your decision in different ways depending on your unique situation. In many cases, however, the cons of buying vacant land can be overcome with proper planning, knowledge and foresight. Here’s what you will need to consider before buying vacant land. The ability to do whatever you choose with the land: When you purchase vacant land, you are free to do with it as you please, as long as it meets zoning laws and regulations. Building on vacant land allows you to create your vision from start to finish, whether that vision is a wholesale deal or building the home of your dreams. Outright, direct ownership: Many vacant land purchases are made in cash, meaning that you will immediately own your investment outright. Even if you are able to finance raw land, you are more likely to pay it off in a much shorter time frame than you would a developed piece of land. Low maintenance: Vacant land that is part of a buy-and-hold investment strategy may not require too much maintenance. Of course, the opposite could be true, too. The trick is to buy vacant land you are comfortable maintaining. Affordability: Taxes and fees for vacant land are typically much lower than they would be on developed land, making vacant land cheaper to own over the long-run. You may also score a deal when purchasing the land, since many owners of vacant land are highly motivated sellers. These factors can make a huge impact of your long term ROI. More difficult to finance: How hard is it to get a loan for land? Very. Without a structure in place to serve as collateral, banks and other financing institutions will typically loan a much lower percentage of value on undeveloped land. You can help overcome this by presenting your lender with a rock-solid plan for developing the land (if that is your intention) before you ask for financing. Otherwise, you should be prepared with a hefty down payment for any vacant lot financing. Delayed returns on your investment: Without rental income coming in, your vacant land won’t be making any money to cover expenses like property taxes or improvements to the land. If you can’t absorb these costs long-term, you may need to get creative to cover these types of expenses. You can rent out the land to seasonal businesses (think pumpkin patches and Christmas tree lots), or other transitory businesses. You can’t claim depreciation: Depreciation does not apply to undeveloped land, which means you can’t claim this as a tax deduction like you would on developed land. Additionally, you won’t have a mortgage, so you won’t be able to deduct mortgage interest come tax season either. The land may not be permitted yet: Permitting can be a time-consuming and tedious process. Current zoning and permitting for a given piece of land is something you will find out during your due diligence, which means overcoming zoning and permitting issues should be a part of your plan from the beginning. Work with a local pro: Working with an agent who has extensive experience in land deals can make the buying process more manageable and can help you avoid some common pitfalls. Your Realtor can help you decide where to buy land, they can verify whether a plot of land can be subdivided, they will be able to provide details about the area and neighborhood, and they will be able to negotiate the sale on your behalf. Consider the neighborhood, roads and access: You cannot overlook the details of the area you are buying in. If you are planning on building luxury apartments, you would not want to buy in an area with primarily modest, single-family homes, and vice-versa. Roads, property access and utilities are also important considerations that should absolutely not be overlooked. Don’t skimp on the survey or environmental tests: While testing and surveying can take time and be expensive, these steps are well worth taking in the long-run. Hire a surveyor yourself rather than relying on a seller’s past surveys, and have environmental testing done to check for contamination in the soil. Taking these steps before buying a plot of land can help avoid future upsets and headaches after you complete the purchase. Don’t expect to get a loan: Financing vacant land can be extremely difficult. Since vacant land doesn’t carry with it as much leverage as developed land, your lending institution may not offer much, if any, financing on the land. You may be lucky to get a 50 percent loan on the value of the property. However, the likelihood of getting a loan and of getting a higher percentage loan increases if you are able to cultivate a good relationship with a local lender. Don’t make assumptions about zoning: If the land is not zoned for your purposes, don’t assume that you can have it rezoned. You should check with local zoning offices before you purchase the land if there is any chance that this is going to be an issue. The last thing you want to do is buy land to build a home on, only to discover that you are unable to get the correct zoning and permits. Buying vacant land can be tricky, but that doesn’t mean it isn’t a worthwhile consideration. If you approach the process with a clear understanding of what you are undertaking, along with a plan, you can turn a vacant plot of land into your dream home or an opportunity for building wealth. Do you have experience buying or selling vacant land? What is your best piece of advice when approaching and completing a vacant land deal? Please feel free to share your thoughts on the matter in the comments below. Do you want to buy vacant land?